Can I book my free carers tickets online ? A helper or carer is welcome to accompany a disabled visitor without charge. Only one carer can receive free entry per disabled guest. We will require documentary proof of disability i.e. blue/orange badge, DLA letter or doctor or physician letter. Admission for guests with disabilities is charged at the full day rate. Is The Blackpool Tower Dungeon wheelchair accessible? 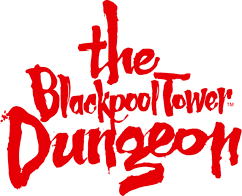 How old must you be to enter The Blackpool Tower Dungeon?